Pro Kabaddi League 2018, Sachin Vittala: "We will give our best on the mat"
Gujarat Fortunegiants' Sachin Vittala has been signed for the Pro Kabaddi League 2018 and will be part of their defence, which had been a key feature for their run to the finals in their debut season last year. Sachin has earlier played for the Puneri Paltan in the second and third season of the league but only featured in four matches scoring 11 points for the Maharashtrian side. 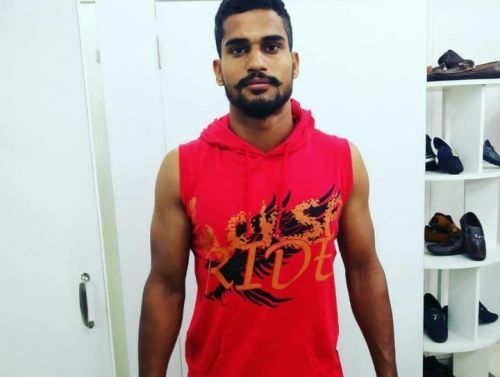 The left corner defender from Karnataka will be going in with a renewed spirit for his comeback to the Pro Kabaddi League. He delivered impressive performances in the Senior Nationals Championships for Karnataka helping them achieve a third position finish with his tackles on the mat. Vittala started playing Kabaddi during his school days and played at various national level tournaments finally ending up with the state team. His rise to the Pro Kabaddi League has garnered attention in his hometown and he speaks of the difference back home now. It is a great feeling to be a part of the Pro Kabaddi League. Everyone is very happy back home and people in my town recognize me and my family now which brings a sense of pride. Gujarat Fortunegiants are undergoing an intense camp in preparation for the upcoming season and Vittala is relishing each and every moment of it. Vittal and fellow corner defender Ruturaj Koravi have been highly rated by the Fortunegiants coach Manpreet Singh to excel this season. Vittala speaks of his coach's faith in him after the departure of Iranian corner defenders Abozar Mohajermighani and Fazel Atrachali. Our coach Manpreet Singh has shown a lot of faith in us and has been training us extremely well in the camp. We will do our best on the mat and play with confidence. Vittala further expressed his confidence when he spoke about the Gujarat fans' expectations going into the season. The fans' support means a lot and I hope the Guajrat fans continue to support us well this year. Last year, the team ended runners up but this time, we will do our best to win the title. Gujarat Fortunegiants begin their Season 6 campaign against Dabang Delhi KC on October 9, 2018, at the Jawaharlal Nehru Stadium in Chennai, Tamil Nadu.